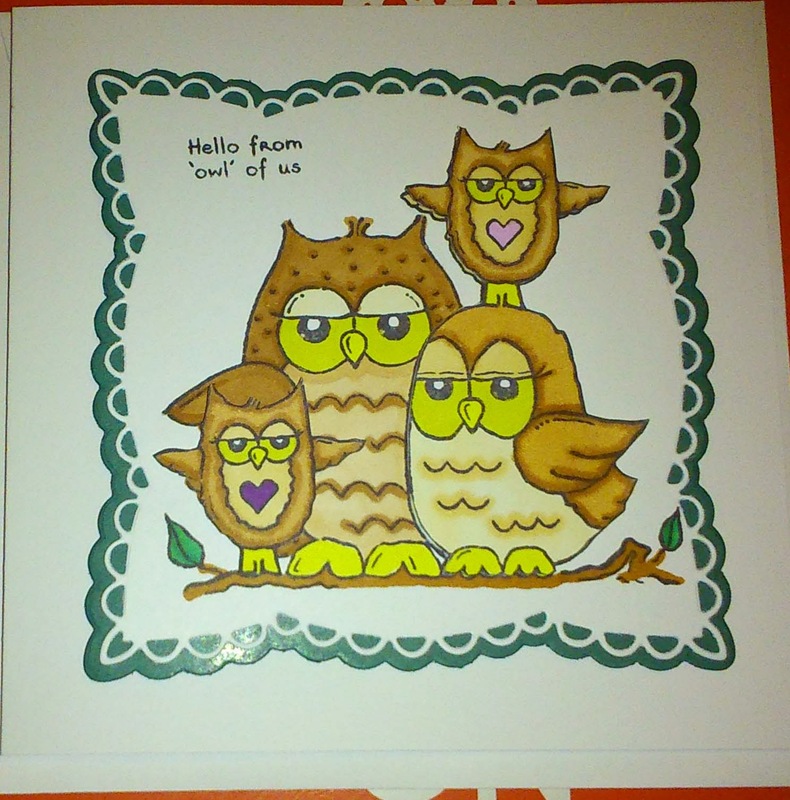 This is a birthday card for my Aunt who like me is quiet fond of the odd owl or two. 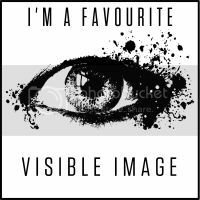 This is another stamp from the Woodware's Perfectly Clear range. I really like this stamp but as the Mother of twins it was missing a vital element, originally it was a Mummy, Daddy and one baby. 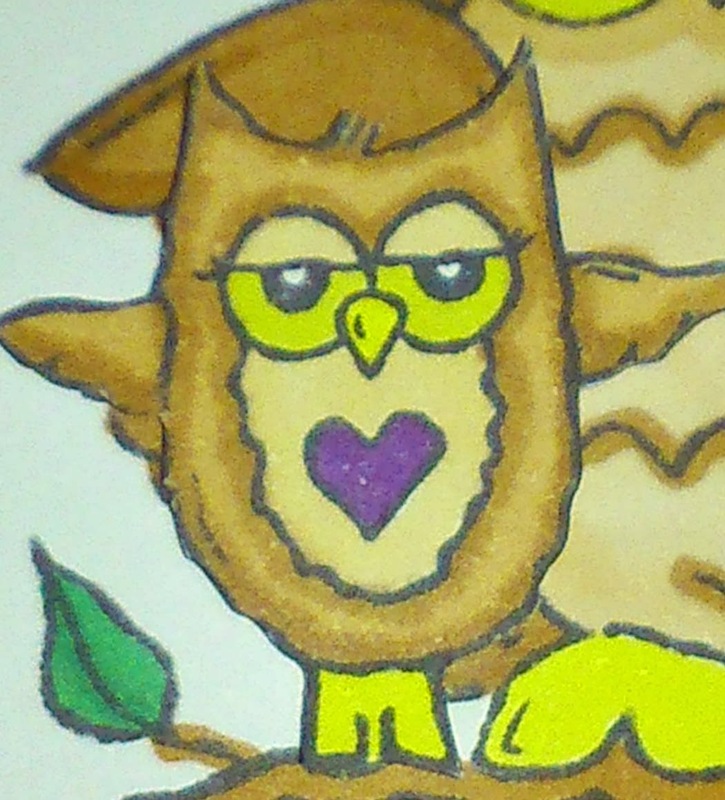 So I stamped the image three times so I could decoupage the image. The first layer was the three original owls, the next one I cut out the Mummy and baby, with the third image I only cut out the baby. 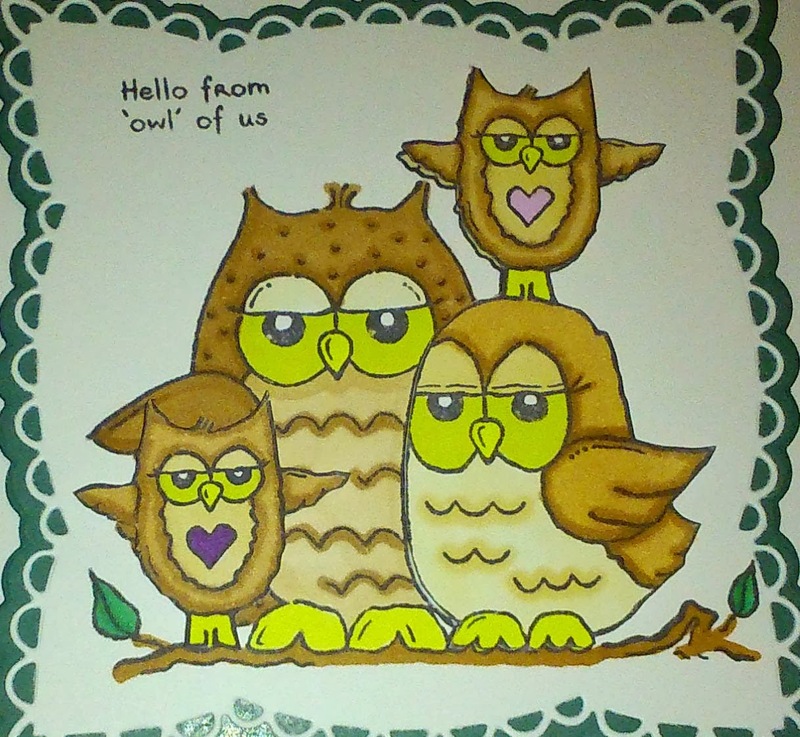 I added the second baby to the image in front of the Daddy owl. 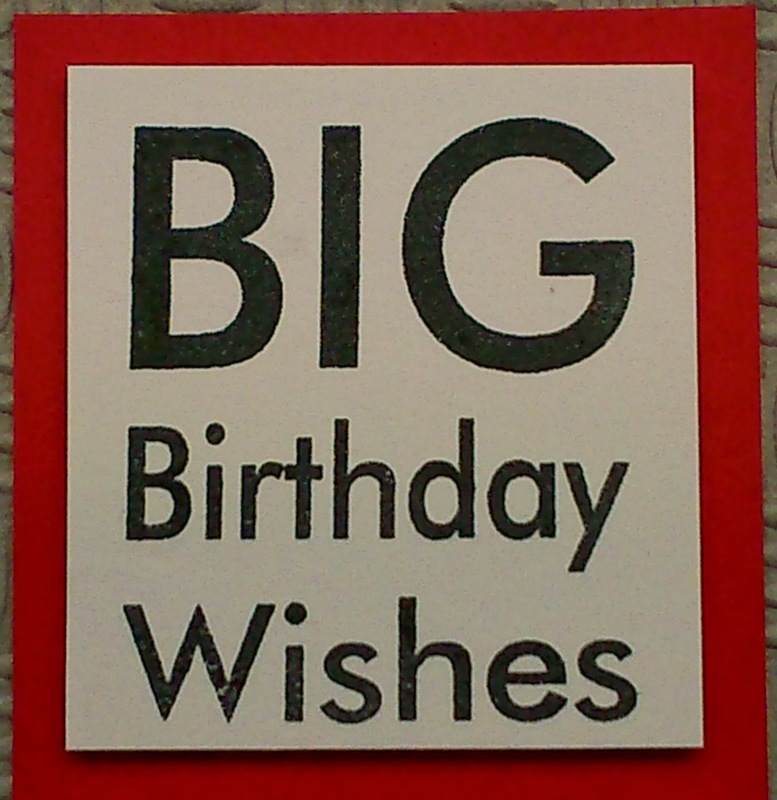 I used the Marianne die Anja Squares to cut the fancy shape around the image as well as the background square. 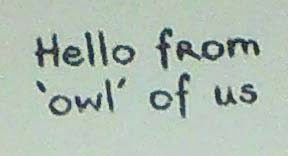 Finally I added the greeting from the same stamp set. 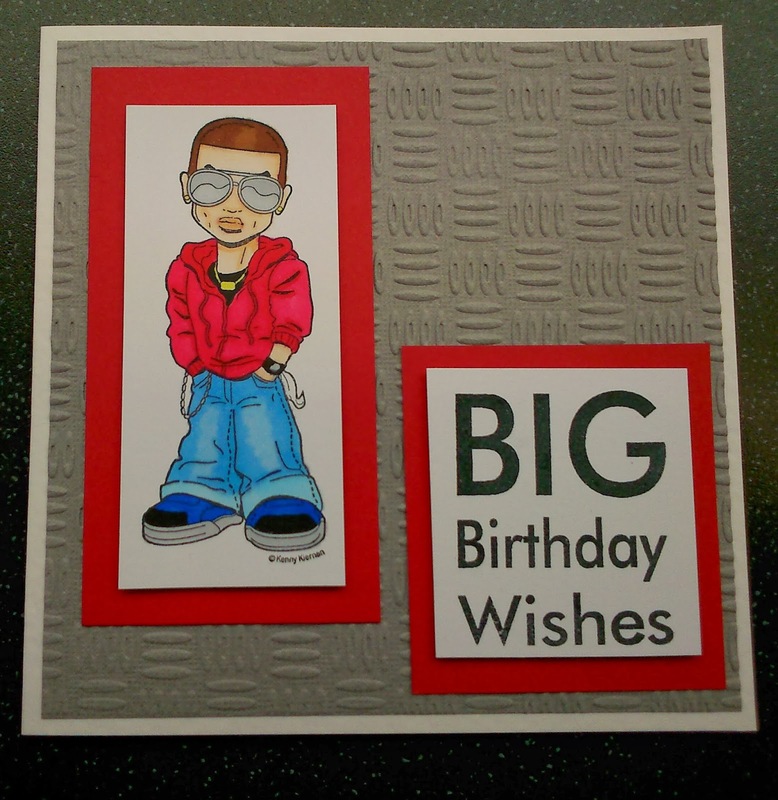 This young man is J-Cool from the KennyK stamps range, he is brilliant for a teenage card but could be used for any male card. 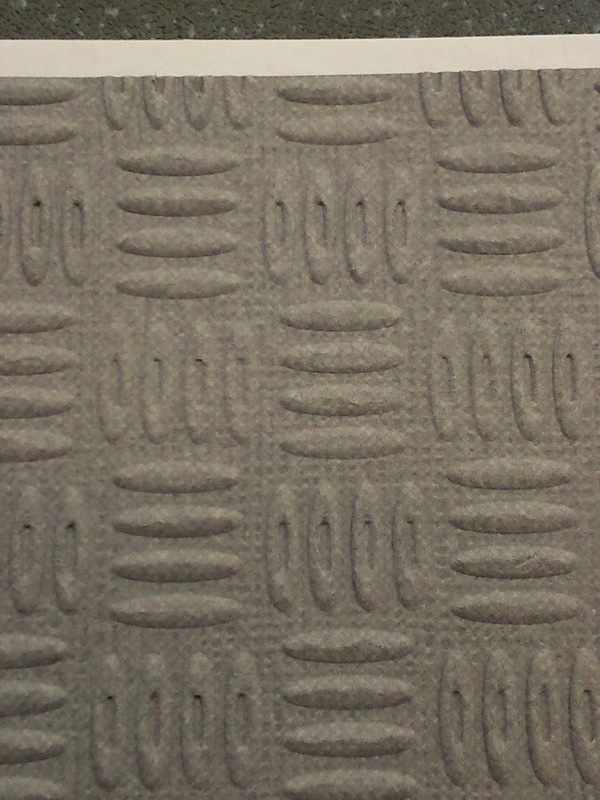 I stamped the greeting using a Crafty Impressions clear stamp. 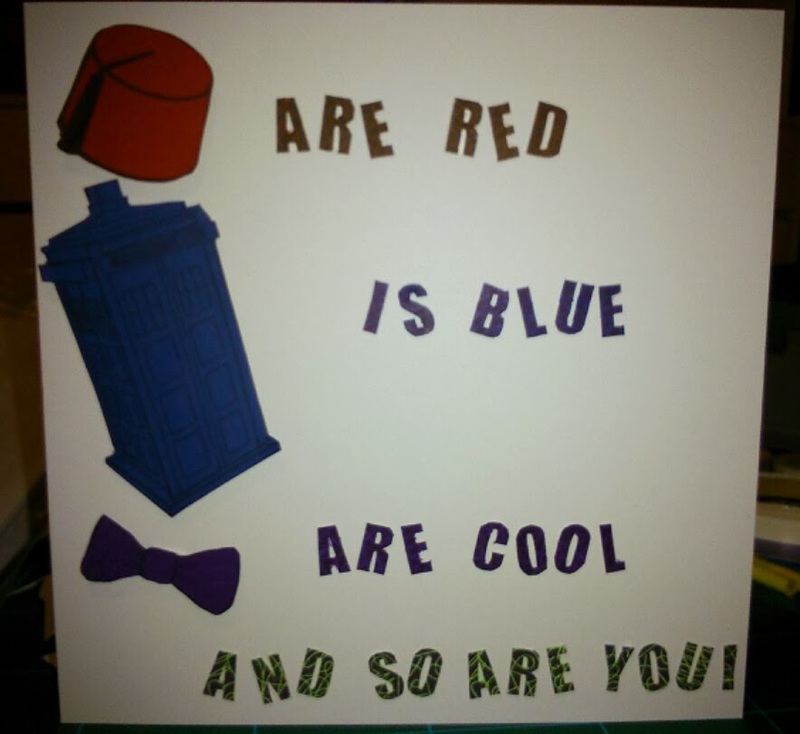 I mounted the image and the greeting onto red card using foam tape to give it a little depth. The whole thing is mounted onto a 6x6 card. I really hope Craig likes it because I am quite pleased with it. It's almost here, that time of year we are all supposed to go slushy and declare undying love to that special someone. Bah who needs romance when you have these fantastic undies! 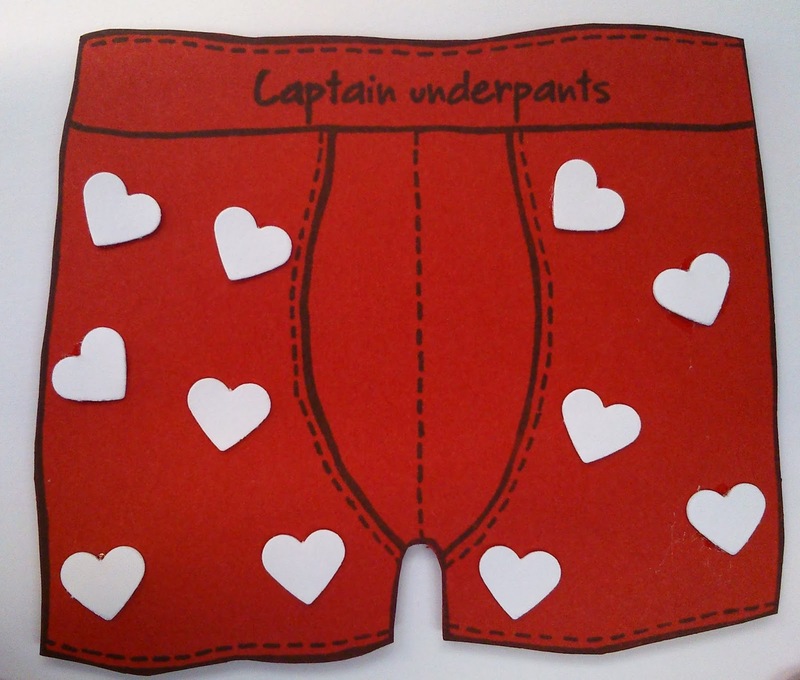 This was a really easy card to make, firstly I stamped the pants onto red card and added the words, then I cut out several little white hearts using an Xcut punch. While this was drying I cut a piece of white card and stamped the Valentine's greeting, I used an Xcut die to create the red heart corners and mounted the whole lot onto a red square card. These beautiful boxers are a great little set of stamps from Woodware, it consists of the pants and several witty words including the Captain Underpants I've used on the waist band.